Oman's Ministry of Tourism recently concluded its one-day roadshow in Dubai at the H Hotel on a high note. The event is part of a series of tours covering neighbouring GCC states to promote the Sultanate as an ultimate destination for regional visitors seeking a memorable travel experience. The ministry-organised roadshows this year formed part of its core strategy to strengthen its partnership and cooperation with stakeholders. The roadshow also served as an important opportunity to introduce the latest developments, including the opening of new hotels this year, in Oman’s tourism industry. The Ministry also took the opportunity to promote Oman as an ideal venue for international conferences as well as the growing incentive tourism segment in the Sultanate. The state-of-the-art Oman Convention and Exhibition Center, a multi-storey concert theatre that can accommodate up to 3,200 people on three floors, was recently inaugurated to attract international artists and exhibitors. The centre is equipped with advanced show and simulation systems as well as modern audio systems. With its expansive halls, it is also a fitting venue for world-class orchestras, global meetings and conferences, and large events and trade shows. “Tourists from Dubai flock to Oman, particularly Salalah, yearly to explore the Sultanate’s beautiful sites and unique heritage and offerings. 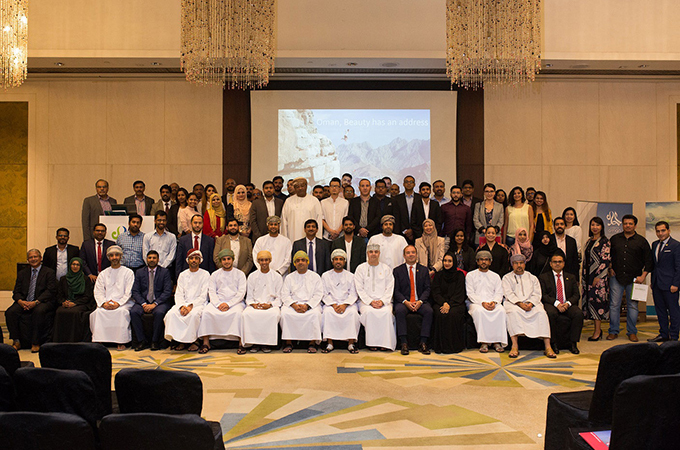 Our roadshow was also an excellent opportunity to let our tourism partners in the cosmopolitan emirate and the rest of the GCC get acquainted with the unique, world-class tourism experiences that Oman has to offer. Our roadshow was launched to help realize Oman’s goal of attracting 11 million visitors by 2040. As we were able to establish new partnerships with local travel agencies, we are confident of our ability to meet this goal on time as we vow to strengthen Oman’s tourism industry and make the Sultanate globally competitive in today’s modern era,” Haitham Al Ghassani, assistant director general of promotion for events & tourism awareness, said. The long-standing Emirati-Omani relations have been going strong over the years, driven by their strong economic and investment ties covering key sectors, including tourism. The Sultanate is currently seeing an increase in the number of visitors from the GCC and the rest of the world. The UAE market is one of the most important tourist markets for Oman. The number of UAE tourists coming to Salalah this year reached 35.3 per cent by the end of September 3, 2018. In 2017, the Sultanate attracted more than 1.59 million Gulf visitors and is expected to increase by the end of 2018.